Such a vibrant hair accessory for your little girl to wear all year round. 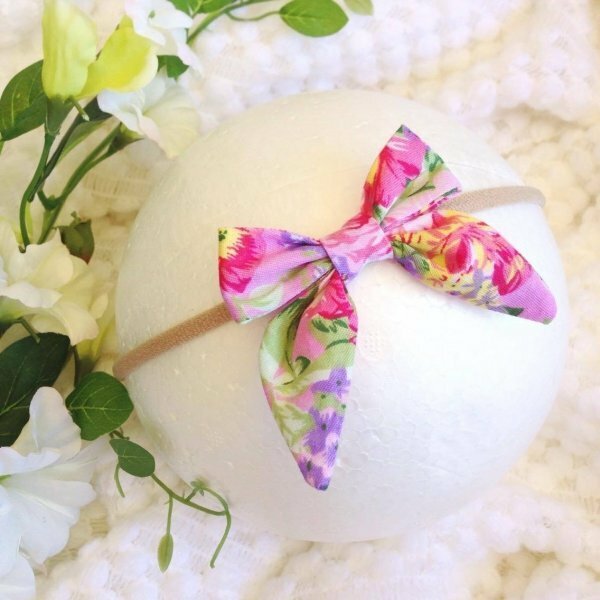 This gorgeous fabric baby bow is made in a vibrant floral fabric with tones of pink, fuchsia, yellow, lavender & green, it is stunning in real life. It is sure to brighten up your girl's outfit.